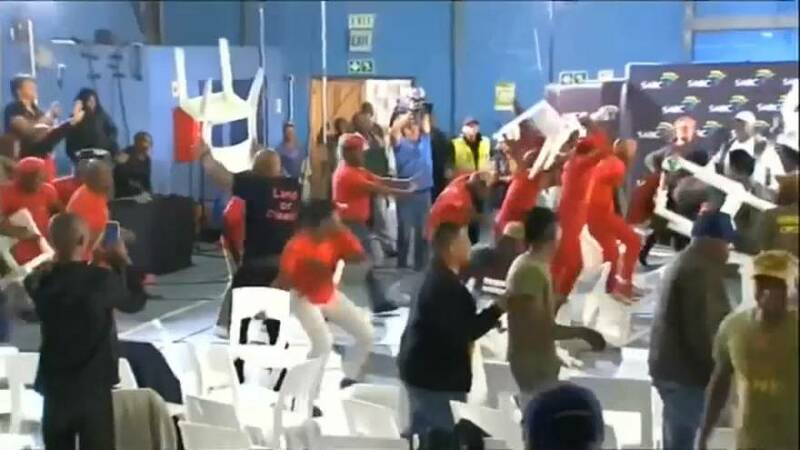 In an election debate hosted by SABC, the country's public broadcaster, Economic Freedom Fighters (EFF) party, Land Party and Black First Land First party's supporters violently expressed their disagreement on the proposed land reforms throwing chairs and other objects at each other. Video footage showed members of EFF instigating violence against other supporters. The EFF's national office issued a statement condemning them and calling for restraint and order.